Full-stack programmatic ad tech platform SmartyAds has announced the release of a software development kit (SDK) for in-app advertising on the iPhone, iPad and iPod touch. In a world where the majority of connected devices are smartphones and tablets, our SDK is a powerful tool for displaying highly engaging and interactive ads across all iOS devices. This is yet another robust revenue stream for your application. SmartyAds SDK for iOS is lightweight and comes with ad quality control functionality, allowing mobile publishers to choose the highest earning mobile ad formats. The company’s SDK integrates iOS applications with SmartyAds’ SSP, allowing app developers to offer advertising inventory to demand partners worldwide instantaneously. SmartyAds SDK for iOS Version 1.0 is easily customized and uniquely designed for each client. The SDK offers robust monetization tools for app developers, allowing them to manage advertising space, choose best-performing ad formats and optimize configuration settings. 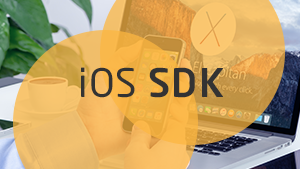 The IOS SDK is only 2.5 MB, helping to reduce app size and minimize discrepancies in mobile app’s load time. The company’s SDK for iOS supports top performing IAB banner formats of various sizes: standard banner 320 x 50, large banner 320 x 100, IAB medium rectangle 300 x 250, IAB full-size banner 468 x 60, IAB leaderboard 728 x 90. Native ads, rich media and video ad formats will be available soon. Current formats implemented in SmartyAds’ SDK iOS are the best-performing ad units, especially when working with SmartyAds supply and demand platforms and ad exchange. Therefore, available ad formats will help clients to maximize the opportunities presented by SmartyAds vertical integration. SmartyAds released the iOS SDK library, the sample code and examples of the implementation on the GitHub development platform. However, the library itself is presented in a binary form, without revealing the proprietary source code. Features include dynamic framework, CPM price model, SmartyAds managed integration with supply-side platform and mediation capabilities. The SmartyAds SDK iOS in-app advertising framework requires iOS 8 and up. Apart from the newest iOS SDK, SmartyAds offers Android SDK for mobile ads. With ultra lightweight Android SDK, clients can easily leverage custom banner ads, interstitials and a variety of VAST video ads that enhance user experience. Using SmartyAds SDKs for iOS and Android, app developers can sell inventory programmatically through the SmartyAds ad tech platform. SmartyAds SDKs for mobile ads is now available for download at the official website or at GitHub. SmartyAds is a global ad tech company whose digital advertising software platform enables and optimizes programmatic online advertising for all participants in the digital advertising ecosystem — brands, ad exchanges, demand-side platforms (DSPs), ad networks, publishers & app developers.